"Gotham City needs you, Batkid!" Warner Bros has debuted the official trailer for Batkid Begins: The Wish Heard Around the World, the documentary following the story of "Batkid" and his amazing day in San Francisco. Almost everyone remembers this, when the entire city came together and everyone dressed up so that he could play Batkid and save the town, and it's such a heartwarming story. The documentary looks at the "why" of the event, how it all came together, why so many people came out to support him, and how it turned into an event the entire world watched. The film earned positive reviews playing at Slamdance and we expect it to make many other people smile once it hits theaters this June. Don't miss it! Take a look. It’s November 15, 2013. Twenty-five thousand people descend on San Francisco. Online, two billion others join in. They are all united to fulfill the wish of 5-year-old Miles Scott, who is recovering from Leukemia. It is his dream to become Batkid and save Gotham City. Featuring exclusive illuminating interviews with all the main players including executives at Twitter and Apple, the film reveals surprising truths about what happens when a nerve is touched in our digital society. Why did the intense outpouring of spontaneous support for a five-year-old reverberate around the world? In the end, the film leaves audiences to decide; did Miles need the world for inspiration? Or did the world need Miles? 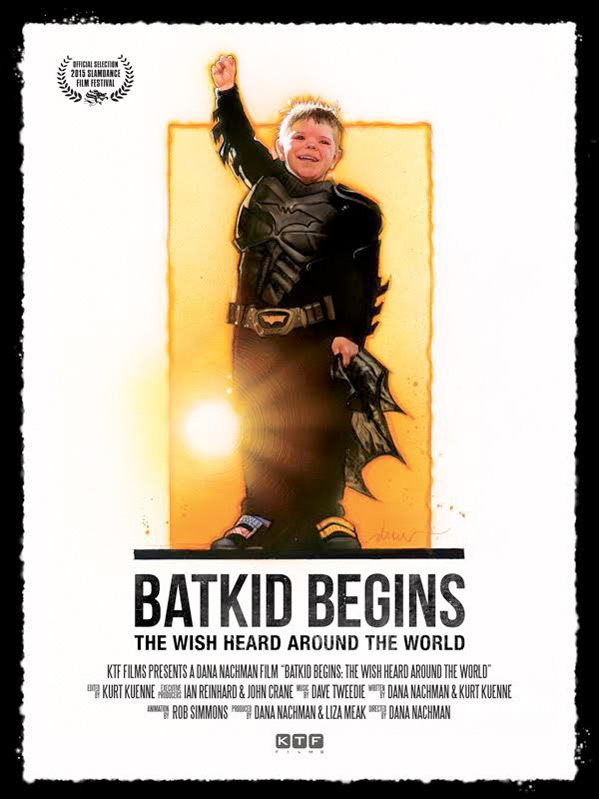 From director Dana Nachman, Batkid Begins premiered at Slamdance. Warner Bros will release the doc in theaters starting June 26th. This looks great! My only worry is that this looks like it would make a great 1 hour tv special or something, im not sure how the filmmakers have translated this story into a feature documentary (especially since the event is already pretty well-documented), but with all the buzz around it, im in.